Watch videos related to data including integrations, tagging data, and histograms. 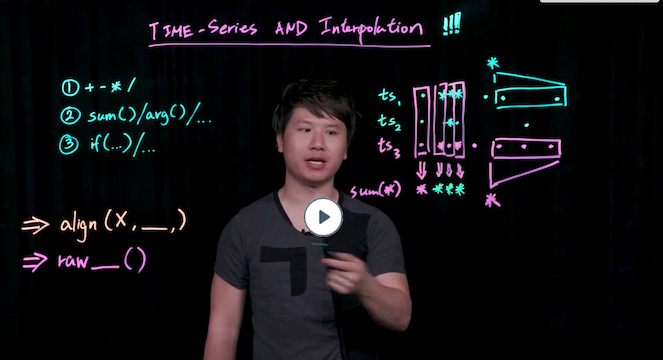 Learn about getting data into Wavefront and get background info on time series and interpolation. 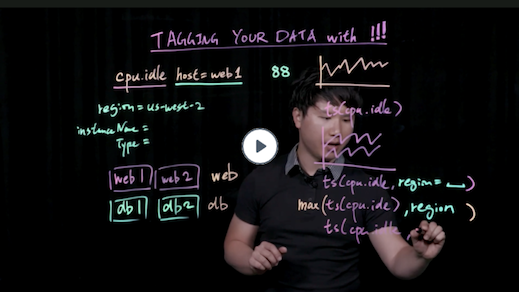 You can also watch Clement talk about histograms and learn about tagging. Wavefront gives observability into your cloud environment and packaged applications. 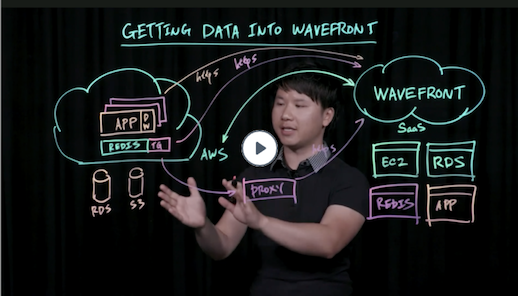 To get data into Wavefront, use an integration with preconfigured dashboards or one of the Wavefront SDKs. Send data from several sources to a Wavefront proxy or use direct ingestion. Finally, add dashboards, charts, and alerts to monitor exactly what you need. Interpolation means that Wavefront creates pseudo data points if data are reported at different intervals. To support aggregation of multiple series--e.g. sum()--Wavefront . Wavefront performs automatic alignment data for very large intervals using mean(), but you can select the summarization function. The raw aggregation function include only actual data points--no automatic interpolation is performed. 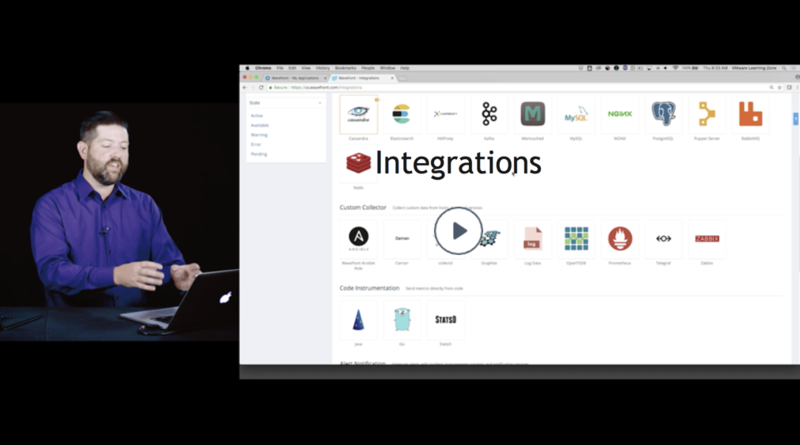 Jason shows how any user with Integrations permission can browse existing integrations and use the instructions in the Setup tab to get data flowing. He uses the Amazon Web Services example to illustrate setup, and then explores some predefined AWS dashboards. By default, data include the metric name and host. With cloud integrations, data include additional dimensions, such as the AWS region, as point tags. You can add point tags explicitly to any data source from the UI or the API. Source tags are different - they allow you to group machines, for example, into db machines and web machines. You can then customize your queries to pull out just the data you need. 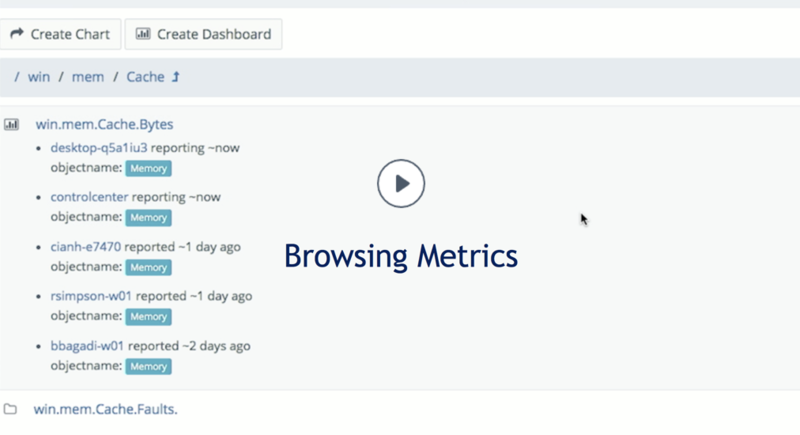 Jason shows how you can use the Metrics browser to view metrics that you can query for. He explains why Wavefront obsoletes metrics, and then drills down into a metric. He displays the sources for a metric, and then visualizes the metric in a chart. He also searches for metrics, and then explores how to use Hide Metrics to remove metrics from view. Clement explains how Wavefront histograms can help you observe measurements that happen at a high frequency. You learn how Wavefront organizes these high frequency metrics into bins, and how you can use the query language to work with the resulting histograms.